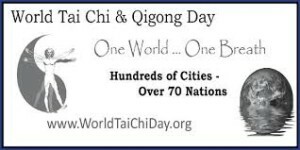 A relay of special events to celebrate World Tai Chi and Qigong Day (WTCQD) begins in New Zealand and end 24 hours later in Hawaii. To initiate, lead and participate in the global relay of special WTCQD events in celebration of health and healing. To promote and educate the community and the world to the profound benefits that Tai Chi and Qigong can provide our personal, social and world health. To acknowledge Chinese culture for giving humanity these unique health technologies and to assist in their local development as appropriate. All of the opinions expressed on this website, are those of the writer ... 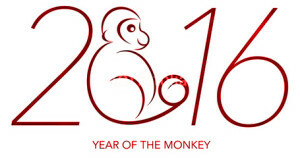 Smiling Dragon Tai Chi & Qigong and Tamara Bennett strives to keep all information on this website up to date, but cannot guarantee the information provided is accurate. This information is provided “as is” with no express or implied warranty. Any mistakes in this information that are brought to our attention will be corrected as soon as possible. Smiling Dragon Tai Chi & Qigong and Tamara Bennett reserves the right to change any information on this website at any time. Smiling Dragon Tai Chi & Qigong and Tamara Bennett accepts no liability for any loss or damage a person suffers because that person has directly or indirectly relied on any information on this website. Copyright: Smiling Dragon Tai Chi & Qigong and Tamara Bennett claims copyright ownership of all information on this website, unless expressly stated otherwise. Statement of Acceptable Use: No information may be used for commercial purpose, unless and until the Smiling Dragon Tai Chi & Qigong and Tamara Bennett gives written permission.